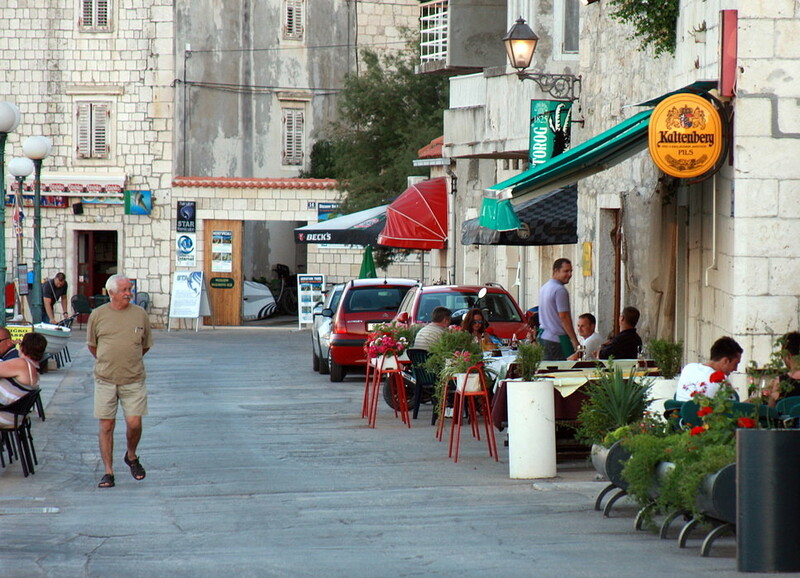 One of the main reasons we’ve been spending our summer holidays on the Brač island in Dalmatia for the last eight (or is it nine?) years is a restaurant we discovered during our first stay. Come to think of it, it’s more likely the sole reason for our annual pilgrimage, the joyful anticipation of it and numerous debates of the outstanding quality of their fish dishes months after we’ve returned home. For us they have set an unbeatable standard for fish anywhere else in the world, some kind of a fish-lovers Shangri La. The first time we ate at this place we shared a sea bream for lunch, immediately regretting our economic approach to ordering. Little did we know that what we were about to be served at this modest street-side “Konoba Porat” would be the best fish any of us has every tasted before. To some part the fact that the fish was not nearly big enough for both of us contributed to the feeling of gastronomic nirvana. But by far more crucial for the final effect was the preparation. The fish was grilled over wood embers which added greatly to the taste and sumptuously dabbed with local extra virgin olive oil. Not that we’ve never before eaten a fish prepared this way but it was never as tasty as this. I bet head chef and grill master Karmel added a pinch of his secret magic he wouldn’t share with anyone else. It took us another vacation of pretending to enjoy our home-cooked meals (home in this case being our rented apartment with less than optimal conditions for any culinary achievements) while knowing that only a ten minute walk away we could indulge in the arts of Porat’s cuisine. For our third stay we unanimously decided to simply plan the costs of our dinners in our whole vacation budget something along the lines of booking bed & dinner. Since then we’ve been regular guests at Porat and we’ve enjoyed every single meal as much as that first fish. Being regular guests with so much consistency to show up at the restaurant for ten days in a row ordering nothing but seafood entitles you to some perks which we gladly accepted: There is a regular table reserved for you every evening without even asking for it. Of course it’s the table closest to the kitchen and not one of those located right on the edge of the pier – those are for tourists who order from the menu and enjoy the view instead of catching up on the latest gossip with the staff. The proximity to the kitchen also comes in handy when the head chef comes to check up on you and see if you find the fish to their usual standard. After you’ve finished your meal the owner Nikola or his more chatty wife Snjezana (Snigo among friends) sit down at your table to keep you entertained with the latest family news. Sometimes you get an extra shot of home-made “travarica” brandy on the house to soothe your stomach. And before you leave you make plans with Karmel on what kind of fish he should get for the next evening. So you can imagine our shock when this year instead of our beloved Konoba Porat we found another restaurant in its place. Snjezana mentioned to us last year that they would have to move somewhere else in town as their lease would run out. After checking the whole centre od Sutivan (which given the size of town took us some five minutes), following our noses to detect any smell of grilling fish, our despair only grew. The new Porat or any of its familiar staff were nowhere to be found. We already saw our vacation turning into a disaster when we finally ran across the family’s oldest daughter who told us they moved out of town. It took us exactly ten milliseconds to decide where we were going to spend the evening. 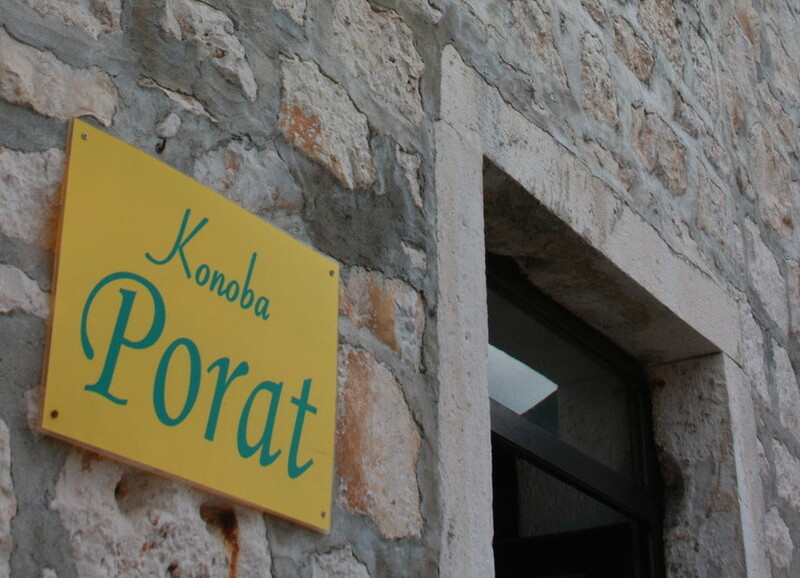 The new Porat is called “Konoba Luš” and is located in Supetar, some 7 km away from where we are staying. During our first drive there I was already thinking: This won’t work. I don’t want to drive every evening back and forth, I really loved the chance of being able to leave our car parked for the time of our vacation (no, I don’t deal well with change). I was almost ready to start searching for a new destination or to forget about our summer holiday altogether… until I opened the new menu of Konoba Luš, which contrary to our usual practice head waiter Ante so proudly presented. A new world of seafood heaven just opened for us. With the new location they also got a new, much bigger kitchen which finally gives them the chance to show all their skills and culinary expertise I never knew it existed. If our main staple so far was grilled fish, we now have the chance to sample all the treasures of Dalmatian cuisine: fish brodet, octopus “izpod peke” (cooked under a terracota bell covered with embers), black risotto and all kinds of home-made desserts. The burden of driving every evening? Hey, I would walk there and back to be rewarded with food like this! Enough said, even the best of writers couldn’t put into words the exquisite delicacies that turned me into a fish snob preventing me from eating fish for at least two months after we return home. Not because of overeating it but because none of the fish anywhere else comes close and I need to allow my taste buds some time to forget about it. You are welcome to try it yourself, but use this post as a warning of what might follow if you do so. Great post, keep up the good work. It would mean the world to me if you just came and checked out my blog and maybe even give it a follow if you like what you see! Thank you.